Harare - It has been a tough season for one Lorraine Guyo - but she is officially back with another juicy offering. 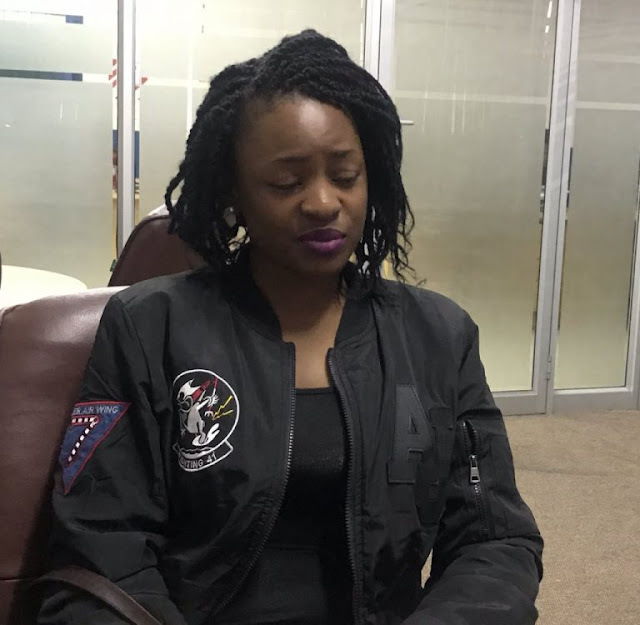 After a week on the back seat of life, the Ndinyengeiwo video girl has posted another chart busting footage addressing Zimbabweans from all sectors. But unlike the previous video in which she sounded desperate, on this instance she appears calm and composed, while appreciating all those who stood by her during her predicament, when she turned from hero to zero. The video has already surpassed 15 000 views and will surely be a hit, while her fame will definitely gather momentum. This instance, she has elected to sprinkled it with a bit humour, unlike the previous edition where she appeared nervous and serious. Reports say her plea for suitors received 4 000 love requests from men but this made her to consider suicide. Now she has regained her confidence, saying “Mmmmm guys I love you soo much support yenyuso mmmm I love you, mufunge kukura kwese uku ndandisinga zive kuti inonzi valentine ndaifunga inonzi valentime. However, she seems to be mocking a senior political figure, often ridiculed for replacing the letter 'l' with an 'R' whenever he speaks. The demands by Zimbabweans to have her reengaged at work were heeded to. And her employer, who seemed to have acted unfairly has relented and lifted the suspension allowing Lorraine to return to work after what may have been the longest week of her life. We say thank you to all who fought in her corner - and everyone deserves a second chance, after all.